Some behind the scenes shots from the competition Wednesday night. The competition was for new chefs. Chip Singer and I were pitted against each other in a “battle Royale” as Alton Brown would say. In this case, we weren’t in Kitchen Stadium on Iron Chef, but we were in Papi Tino’s snug cooking space on East Sixth Street here in Austin. We had about 4.5 hours to prepare 50 portions of each dish. 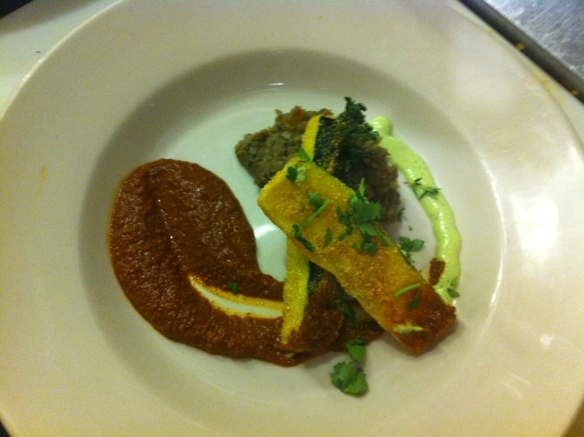 I think it went pretty smoothly, thanks to Chef Lalo’s outstanding guidance and team. He provided help all along the way, especially with practical issues like keeping food warm during service. He made an emergency run to the store when my lentils ended up overcooked. Chip and I both did meat-free selections for the guests, who had paid $35 a head for the three-course-plus-drinks evening, which was sponsored by Wahaka Mezcal and Vess Consulting, a local events organizer/marketing company. 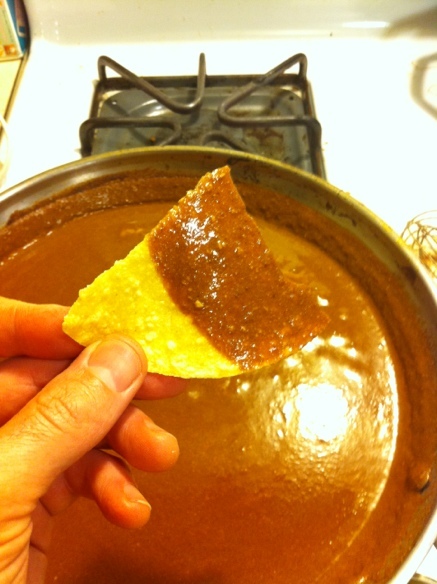 Below: Chip plating like a champ. Below: My original plating layout. 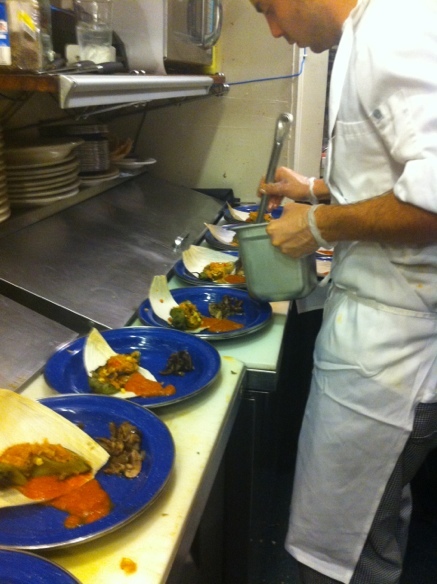 Below: Chef Lalo’s plating (the one we used). 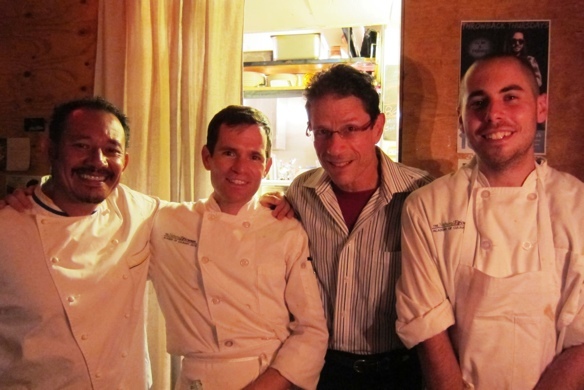 Below: Chef Lalo, me, Chef Marko from The Natural Epicurean/Balcones Springs Resort, and Chip Singer. I was lucky to have won by a slight margin. 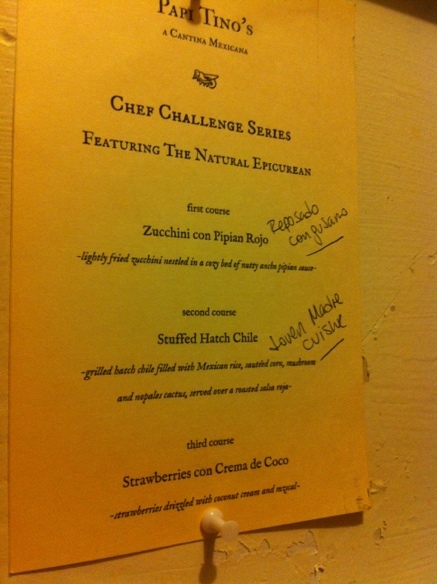 Now I’m going up against students from other cooking schools in Austin on September 26. Come out and show your support! I’ll be developing a new dish for that night. 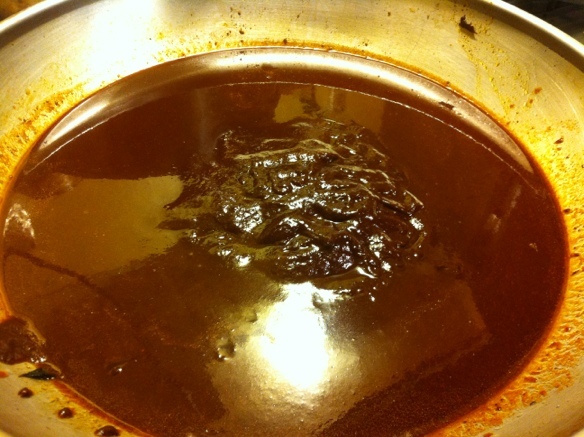 Pipian Rojo is a red chile based sauce from Mexican cuisine with nuts and seeds added for body and flavor. I made some as part of recipe testing for a cooking competition taking place September 5. I need to kick up the heat and toast the almonds, sesames, and pepitas a bit more next time. I’ve spent a lot of time with watermelon recently and I discovered during that time that I love watermelon juice. Why? Because it takes that sweetness and ruby red color and distills it into a concentrated fruit nectar that can slake the most intense of thirsts. Vitamin C? Check. Vitamin A? Check. 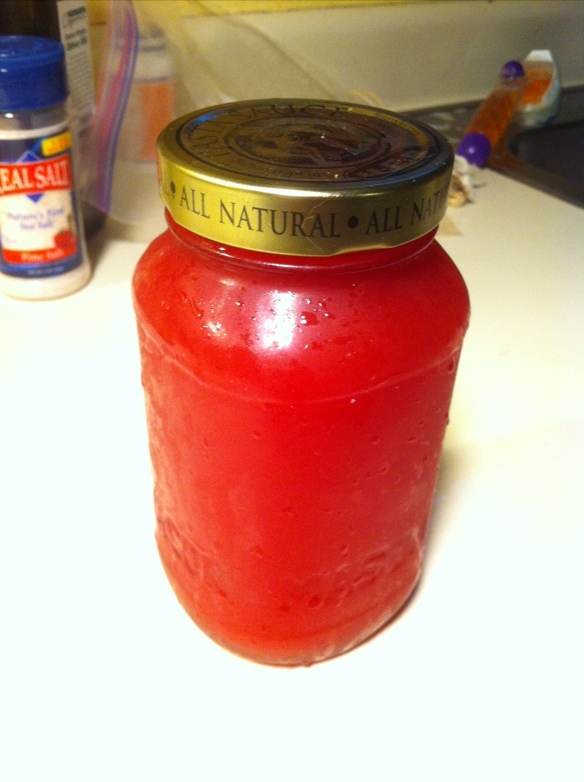 Lycopene, a health protective phytochemical? You betcha. Processed sugar? Not a drop. You will never think about Powerade again. 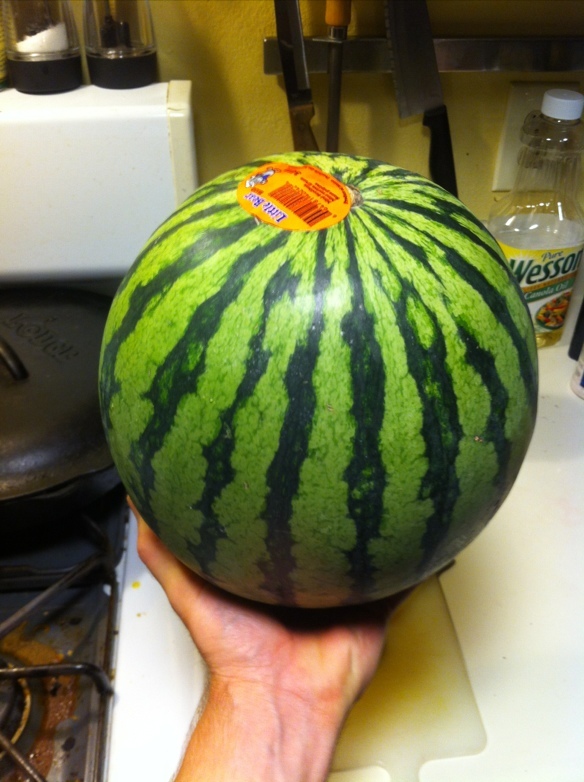 Start with one juicy watermelon. Seedless or full of seeds – it doesn’t matter. 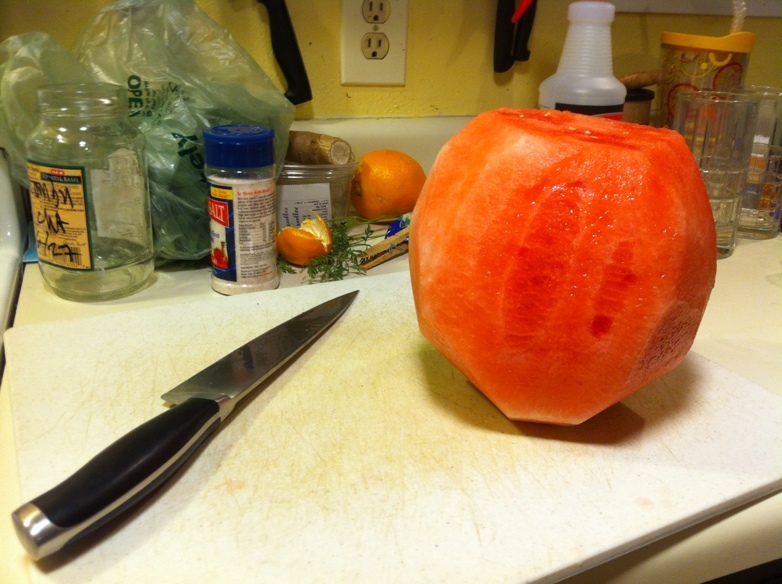 Then chop the melon into roughly bite-sized chunks. At this point you’re going to need a fine straining device. 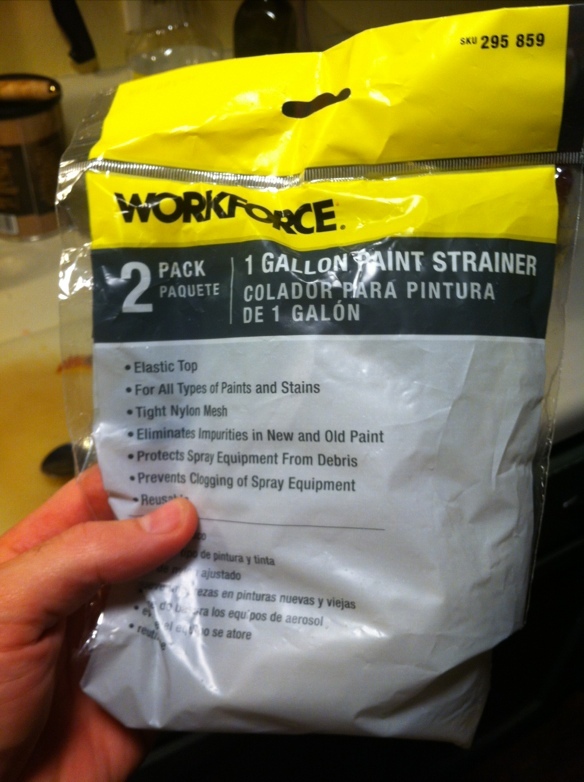 The cheapest option is to use paint strainers. Don’t worry, it’s totally sanitary. You can wash them in hot water if it makes you feel better. Below: Buy a couple of paint strainers from your local hardware store. 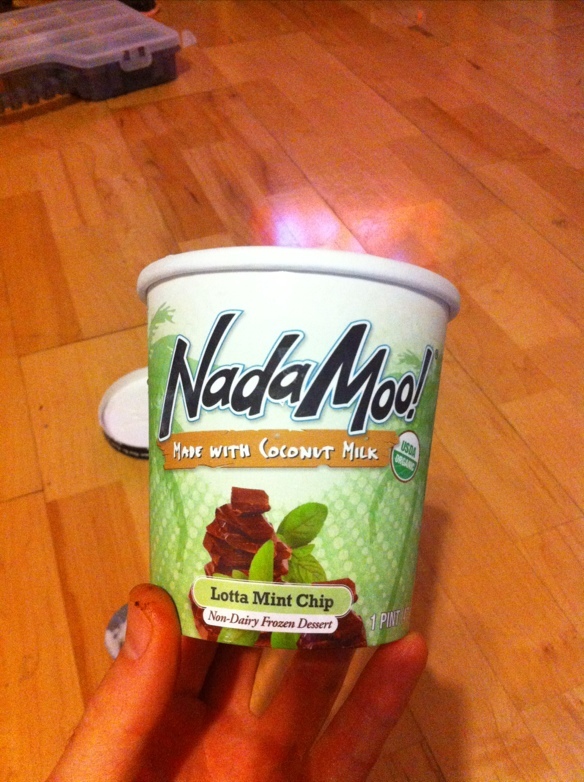 Much cheaper than rice/almond/nut milk bags you get at natural food stores. I think it was about $2. Put your watermelon chunks into one of the paint strainers and methodically crush the watermelon chunks with your hands as the juice runs out into a large bowl. 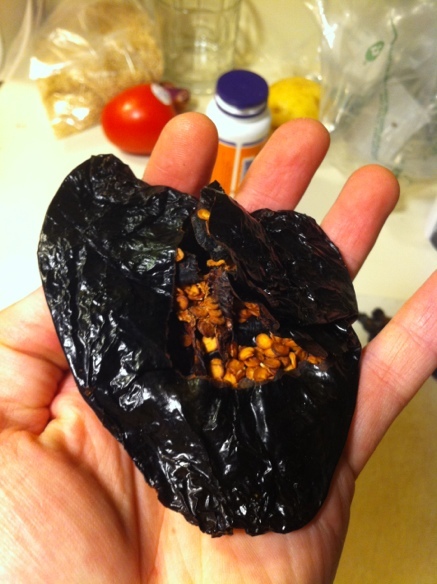 You could try putting the chunk-filled bag into a bowl and mashing it with a potato masher, too. Twisting the bag helps put pressure on the melon, like wringing out a towel. Lastly, view the glory of your watermelon juice! Best served really cold, by my taste. 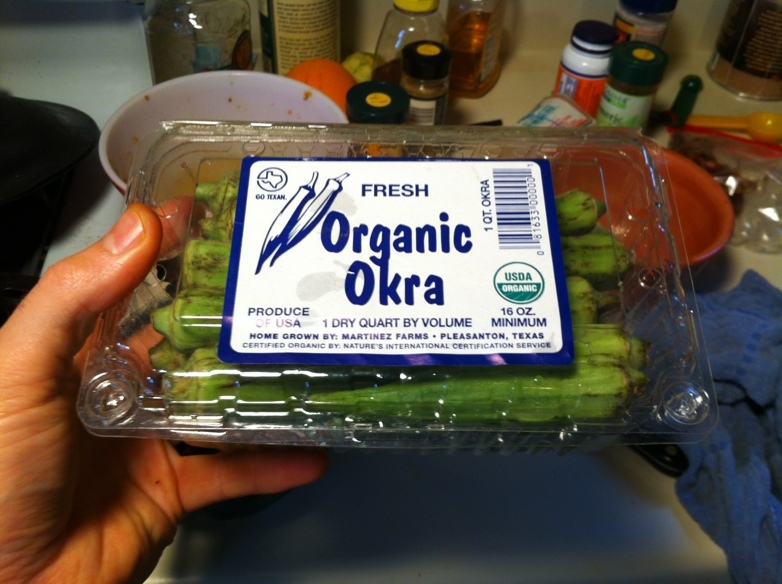 I love the okra. My mom used to cook fried okra and it was so good, but I don’t eat it much any more. 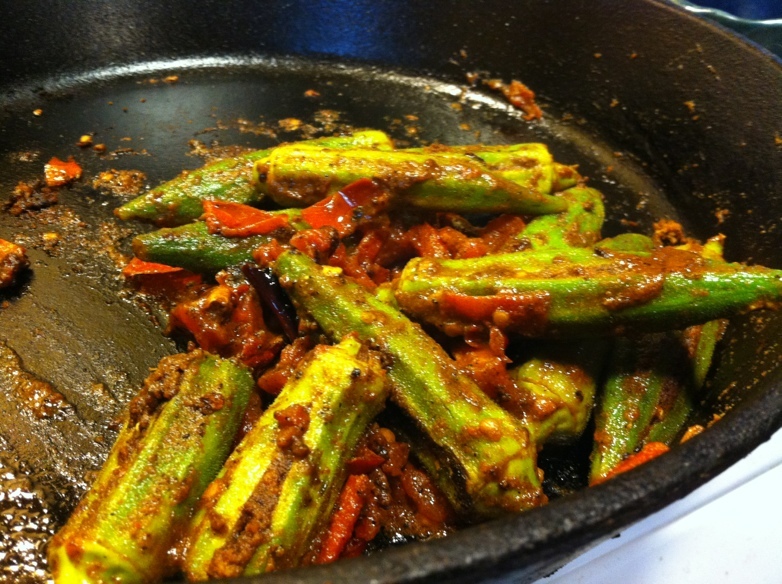 I learned from my friend Todd about stuffed okra – an Indian dish that calls for stuffing okra with a mix of intense spices. 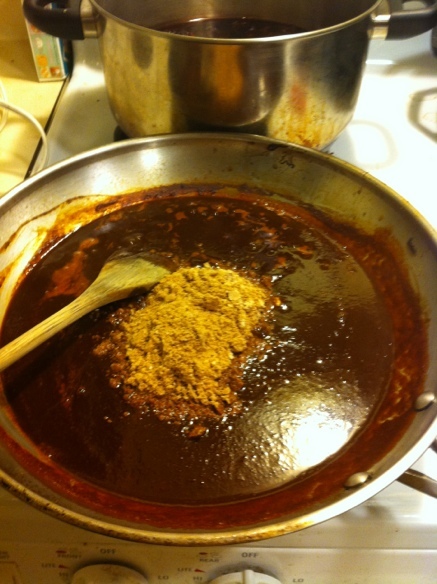 We cooked it once during one of our Thursday night regular cooking sessions and it was an instant favorite. 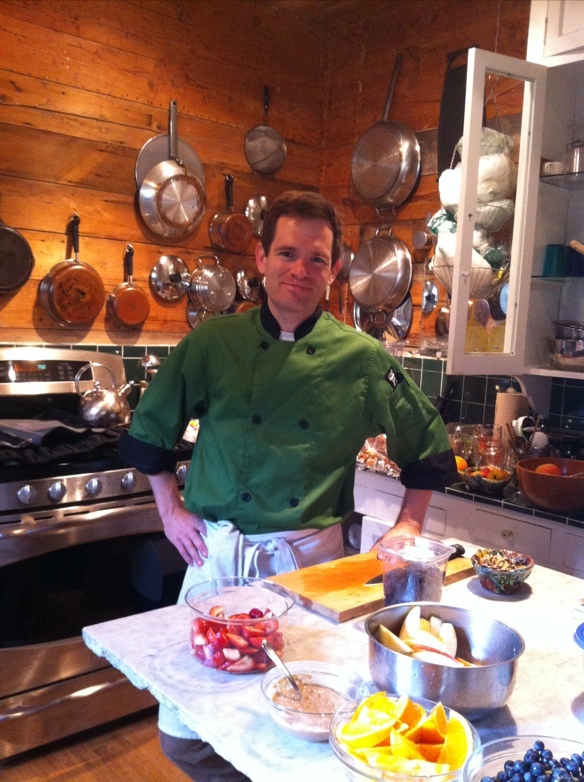 Last weekend I cooked for 17 people participating in a small retreat at a person’s home here in Austin. What a great experience! 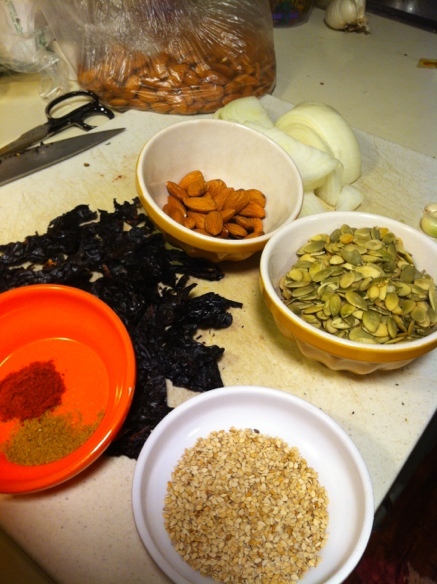 Check out my other website – Austin Healthy Chef – to see more photos! 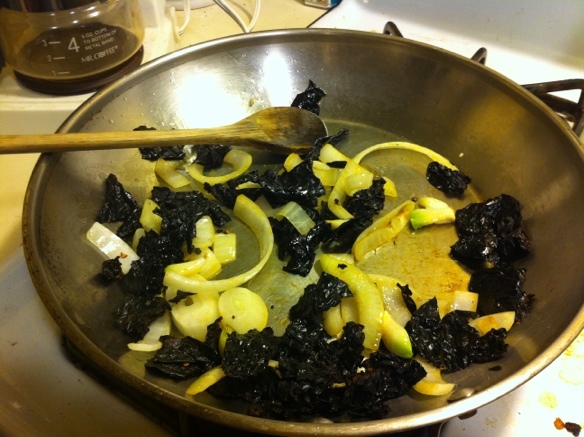 Pressed salad is a dish common to macrobiotics. It is cooling, gentle, and light – a nice contradiction to a diet of dried out or heavy things (bread, crackers, meat, etc.). It is a delicious all-purpose salad that I absolutely love. It’s fun to eat with chopsticks and very, very easy to make. I learned to make pressed salad at The Natural Epicurean and I think it will become a favorite of yours, too. There are endless combinations, but I start mine with radish, carrot, and cucumber – or whatever is on hand. 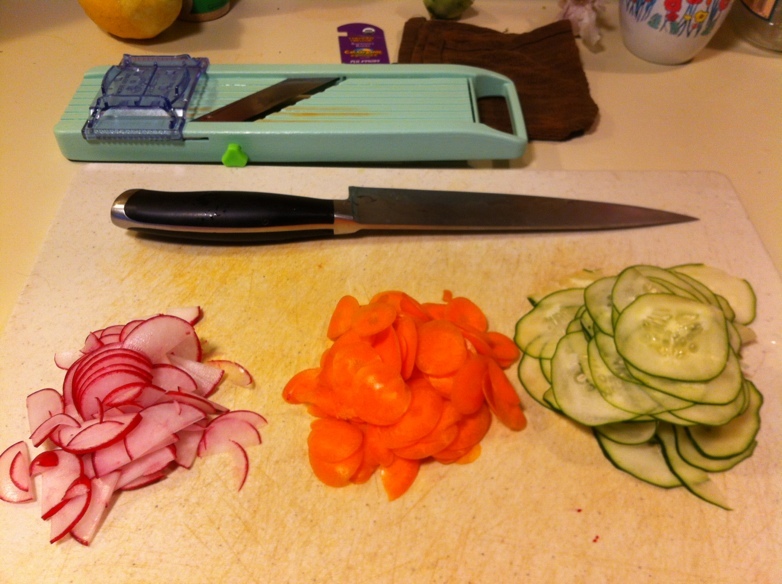 I use my Benriner mandoline slicer to get thin consistent cuts. For one serving you only need about two radishes, half a carrot, and part of a cucumber. 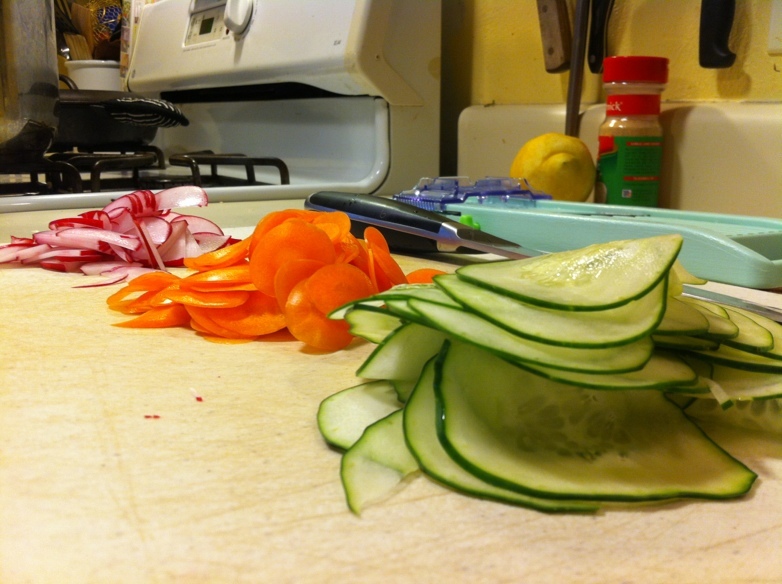 You don’t need a mandoline slicer but be sure to cut the vegetables thinly – this is a soft salad and you want to draw out some of the moisture from each thin slice. Below: Veggies ready for salad! Below: Nice thin cuts! Thanks Benriner! I was first introduced to tempeh about two years ago. My father in law sliced it up, toasted it in a frying pan with some soy sauce, and put it in a Reuben sandwich. I was pretty hooked from there. Tempeh is really just a pressed block of soybeans that has been fermented with a special culture of mold. Like tofu, it’s rich with nutrients and takes on seasonings well, and it’s got a great texture for sandwiches and stir fries. 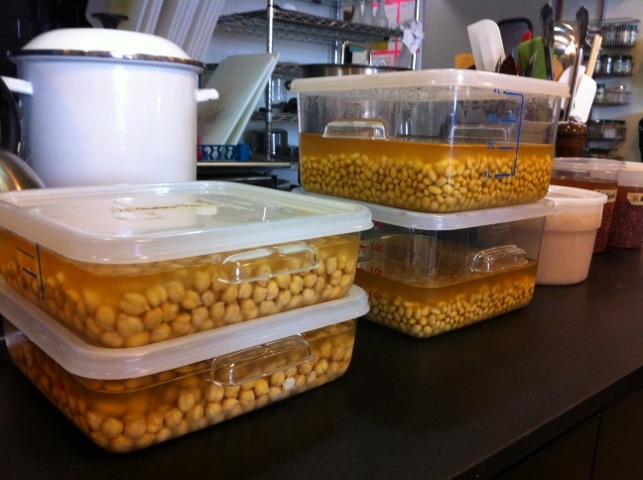 Below: Soaked soybeans, the first step in the tempeh-making process. One of the recommendations made by Warren Kramer (the noted macrobiotic counselor from New England) on his recent visit to Austin (and my culinary school) was to surround yourself with green plants. Well, I’ve never been a very successful grower, but I like the idea. 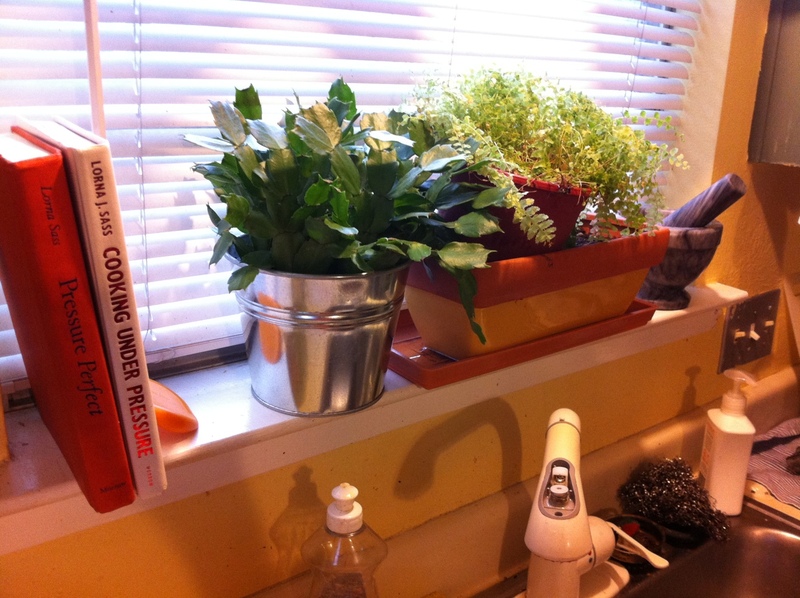 By chance, I got two free plants from a graduate of The Natural Epicurean who is moving out of state to take a personal chef job for a CEO. I’m very grateful for this because they really liven up my view while I’m cooking. According to Warren, they reduce air, noise, and electromagnetic pollution and he recommends them mostly for the kitchen, bedrooms, and bathrooms. They also have a positive effect on your mood, which I have already noticed. 🙂 They have taken up residence on the window sill above my kitchen sink, between my pressure cooker books and my mortar and pestle. Grind the soaked beans with hot liquid. Boil the beans in the hot liquid. 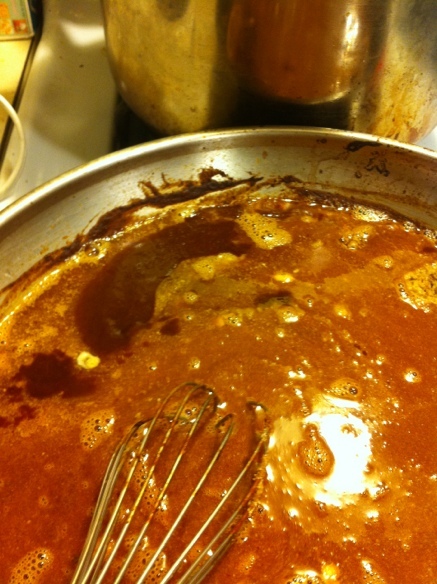 Pour the hot liquid through a strainer lined with cheesecloth and capture the liquids. The solids you capture are called okara, which has some limited culinary use. Press out as much liquid as possible. 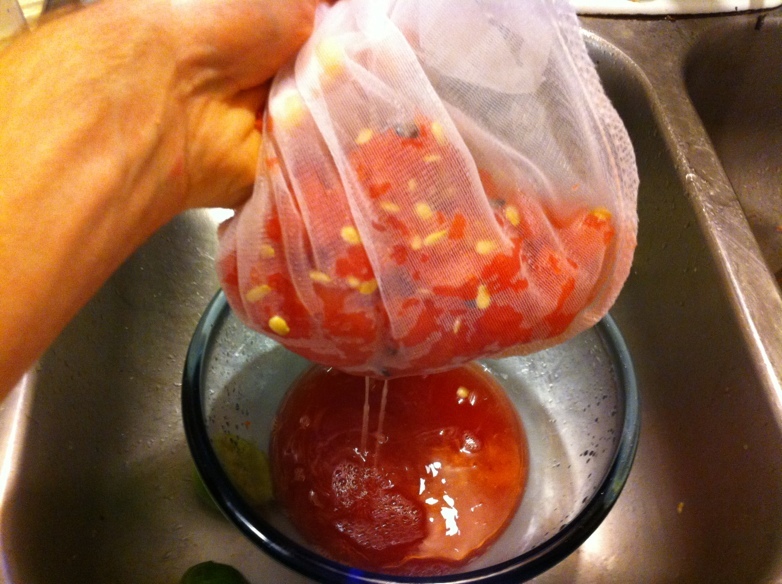 It can be useful to put the okara-filled cheesecloth into a nut milk bag, twist the top, and press out the liquid. The cloudy liquid you capture is used to make tofu so you want to get as much as you can. 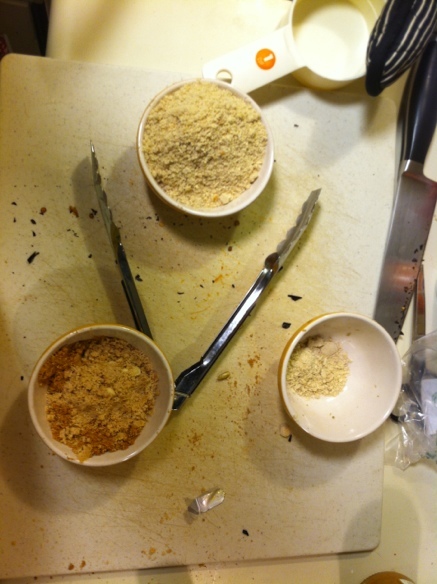 Press the coagulated solids into a cheesecloth-lined tofu box for 45 minutes or so. 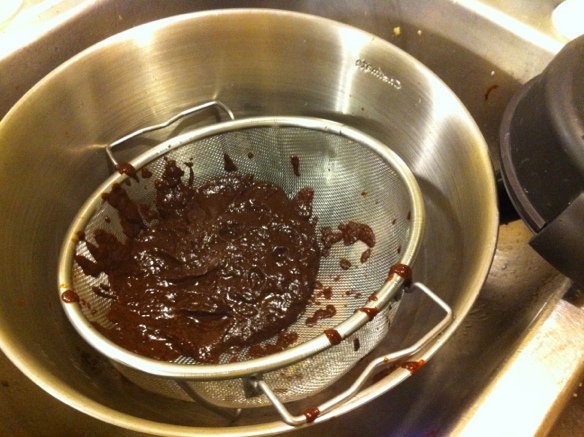 You could also use a regular mesh strainer lined with cheesecloth. Pull out the tofu. You are done! 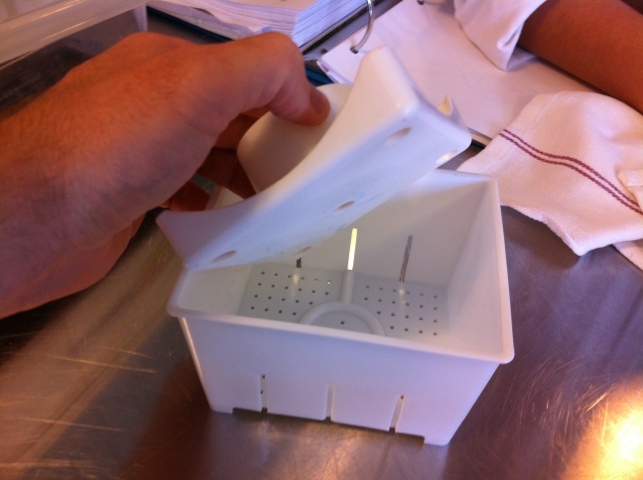 Below: A plastic tofu press. 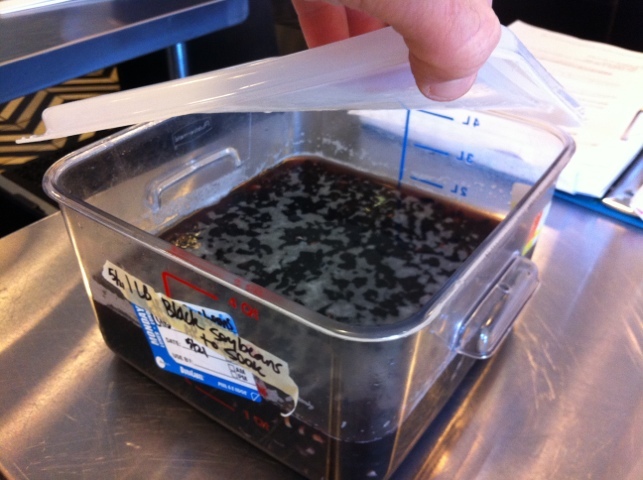 Below: Black soy beans in their soaking liquid. 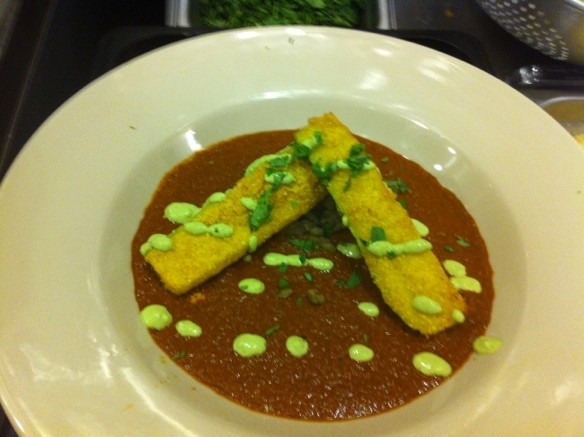 What is seitan? Seitan (SAY tan) is wheat gluten. You know gluten, right? That sticky substance that your liberal friends are in a panic about and that your conservative friends think is a myth? That’s the one! 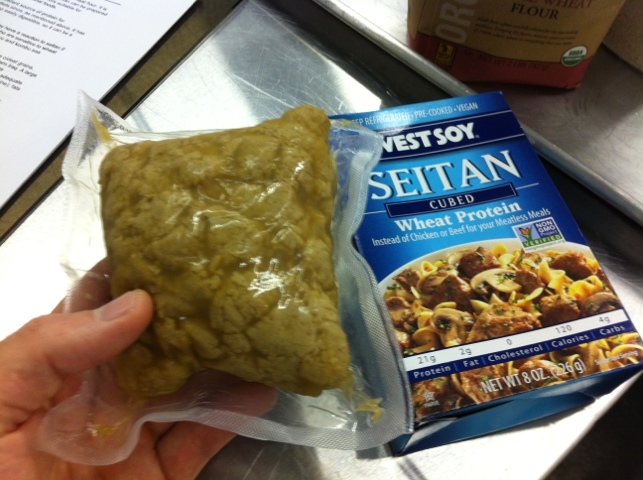 Below: A package of commercially available seitan. Seitan is very spongy and has a chewiness, like a medium rare steak.